When Hitler threatened Denmark’s Jews, the community arose overnight to save them. Danes from all levels of society stood up to the German might at a time when most of Europe turned a blind eye. 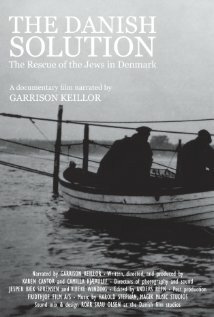 The Danish Solution is about how the Jews in Denmark, helped by a massive citizen-driven action, escaped the Holocaust. This documentary presents an in-depth look at this remarkable episode in twentieth century Europe, highlighting unique characters and exploring why this rescue happened in Denmark and only there. “The best Documentary on the subject!” Bent Melchior, retired chief rabbi of the Copenhagen synagogue, son of Rabbi Marcus Melchior, who warned the congregation in 1943. “A well-made documentary, both moving and informative,” Annette Insdorf, author of Indelible Shadows: Film and the Holocaust. Viewers say: The Danish Solution captured the history in a tasteful, even humorous way, that I found enthralling but not sentimental. • A thought-provoking film that captivated the audience – it is both entertaining and educational. • Masterfully done, The Danish Solution is a comprehend-sive and authoritative documentary that accurately presents the historical facts. • This is the best film that has been made about the Danish rescue.